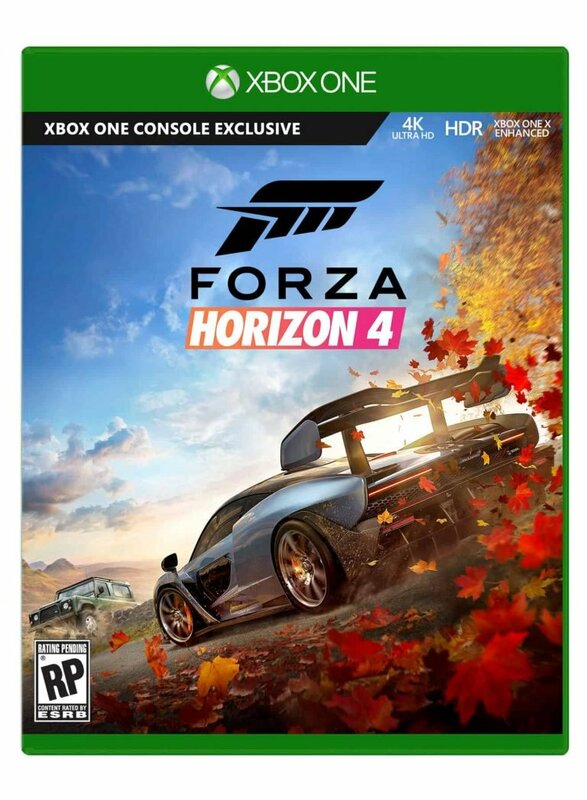 I was about to graduate high school when the first Forza Horizon came out. I loved it, in part because any piece of media that helped me get another mouthwatering taste of my impending freedom obviously had a leg up. But even with that in mind, I still believe there is something noteworthy about that game. The surprisingly not-douchey festival atmosphere, the memorable soundtrack, well-realized late-Xbox 360 visuals, impeccable vehicle handling – Forza Horizon was more than the sum of its already solid parts. Thankfully, Forza Horizon 4 feels much the same way. Horizon’s immediate sequels were great in their own right, it’s hard to make a bad racing game when you’ve got years of extant systems and experience at your back, but it’s equally challenging to not feel like the first game’s spark was lost in the race to make bigger sandboxes with a back25-of-the-box hook. 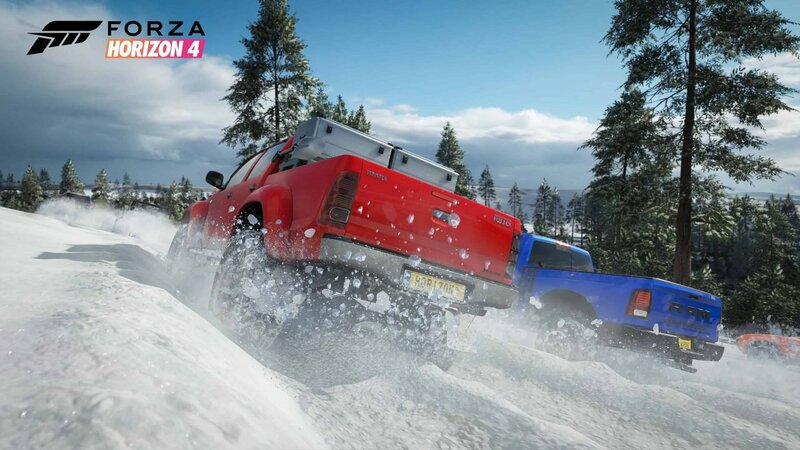 Forza Horizon 4’s big selling point is a dynamic weather system that takes you through the four seasons as you play through the game (seasons transition after a certain amount of real-world time once you finish Horizon’s main campaign, for lack of a better term), and I’m happy to report that inclement weather doesn’t make the game a nightmare to play. In fact, I prefer to play during the intensely snowy Winter, since all the lakes and rivers freeze over and become yet another form of off-road terrain. 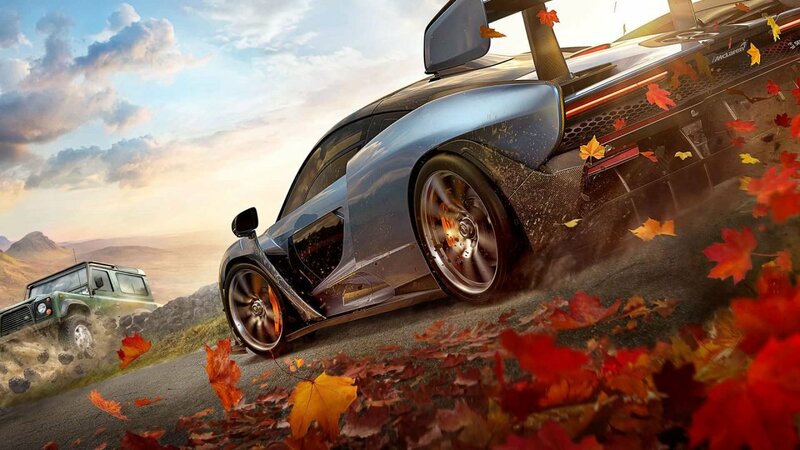 Although not every car is suited to blast off the road and go exploring, Forza Horizon 4 encourages the player to go poke around virtual England by providing you with an open world that does little to impede momentum. Anecdotally, I felt as if most of the ambient obstacles in the world either fell apart or crumbled rather than hold fast against the full brunt of my Lambo’s bumper. That makes sense – it’s just more fun to smash through a wall of cobblestone, sending the rubble flying in every direction, rather than slamming into it and losing all your momentum. And that’s what Forza Horizon 4 is, at its core: well-designed fun. Not to say that Horizon 2 or 3 weren’t fun, but their energy felt slightly less infectious and just a little more calculated. This is what made the third game feel a little stale, with its “you’re the boss of the Horizon festival and you decide how things go” hook. Mechanically, being able to create and modify your own races is a solid idea, even if it does slightly undermine the races designed by professionals. But in a Forza Horizon game, the flavour text is just as important; nobody really wants to be the boss, they want to not have a boss at all. These spin-offs have effectively used the mood and atmosphere of rich people music festivals to amplify the raw satisfaction you get from driving expensive cars very fast in pretty locales. Even when their games are slightly disappointing, Playground Games still knows how to massage the id like a damn professional. Forza Horizon 4’s verve feels the most genuine it has since the first game, and I still think it all comes back to the flavour. You’re an upstart driver looking to prove themselves at the Horizon Festival’s first year-round installation in the UK, so you compete in races, jump off cliffs, and re-enact the final level from the first Halo (seriously, you get a Warthog and everything), all in the name of getting over with the fans. If the fans are cheering your name like their lives depend on it, the head office will have no choice but to give you more prolific opportunities, right? Grab that brass ring and earn yourself a push, buddy. By making the player “qualify” for new seasons and stretching that progression across a whole in-game year, Forza Horizon 4 makes the eponymous festival feel more real than ever, and I’d argue that subtle change is what makes the mood. In hindsight, the move to allow off-roading in the second game did make for a more dynamic open world, but it also broke the series’ remaining immersion with the first sequel. I went from feeling like a rich tourist to being completely aware that I was playing a video game. But here, seeing the same locales in different seasons really does bring some of that immersion back, which makes the atmosphere all the stronger. The problem is that after the first Horizon, these games have been reticent to present the player with any sort of real conflict. It’s particularly emblematic in Forza Horizon 4, where everyone you meet practically trips over themselves to help you out. Yes, you have to raise your influence to move on, but the head of the festival is just so gosh-darn sure that you’ll make it, so don’t even worry! In the first game, the different circuits had rival drivers that you had to work to defeat, eventually earning their respect in a final showdown. 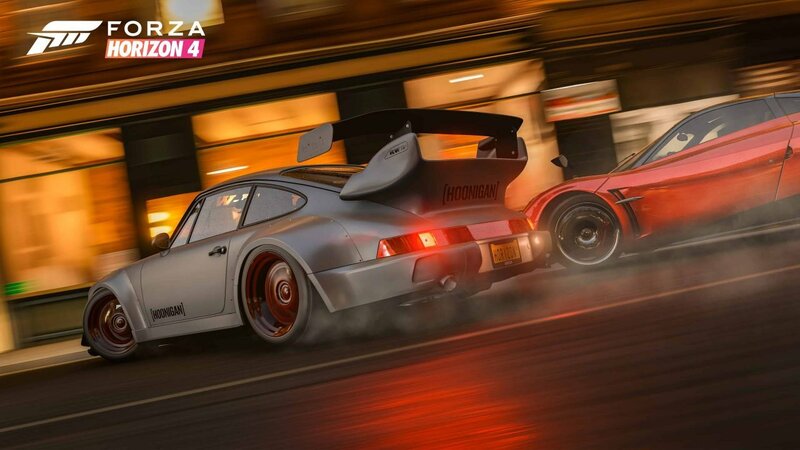 I understand that, with the permanent implementation of Driveatars into the Forza series, rival characters might not be in the realm of possibility anymore. However, I also don’t care. Driveatars are kinda neat, they sure do move exactly like a robot who learned to drive by watching a human, but I really don’t think anyone would complain if Forza Horizon 4 had very well-designed AI racers instead. It would certainly add some stakes to a game that otherwise has kid gloves stapled to its knuckles. I’m only complaining because the cast of Forza Horizon 4 is really quite charismatic, this team clearly has the writing chops to do even slightly more ambitious work. The omnipresent friendliness may not be exciting nor challenging, but it does feel genuine at the very least. It’s definitely all part of the mood I mentioned earlier, and it’s somewhat effective. I could maybe see that being a post-campaign world state, but this is a video game, with traditional objectives for the player to chase. I don’t mind having a cheerleader or three, it’s just that I’d also like that chase to have some kind of manifestation in the game’s world. The closest I got to seeing my dream realized came in the form of Horizon Stories, which are mini-campaigns with a light narrative and unique racing situations. I really enjoyed the starting story about the player getting a job performing car stunts on a movie set, each mission felt worthwhile and I found myself legitimately disappointed when it was over. I also finished World’s Fastest, which was basically just a series of time trials with extremely cool cars, and unlocked a drifting campaign, at which point I decided to go do something else because I hate missions that center around drifting. 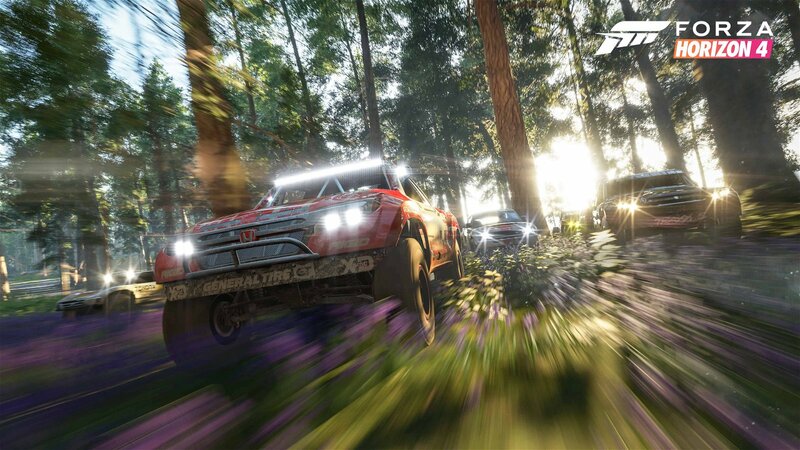 But that’s the beauty of Forza Horizon 4’s open world: you can always just go do something else. Instead of becoming the Drift King through copious use of the rewind button, I polished off the cross-country racing circuit and became the very best at tearing up farmland. The structured races are great and it’s delightful to crush them in cars that handle perfectly, but of course that’s the case, this is the eleventh Forza game. All the activities unique to the Horizon spin-offs, like the blockbuster Showcase events where you race against Not Cars or the hidden breakable billboards, are the best they’ve ever been. I was surprised by the ingenuity of the hidden collectibles more than once, like with a Fast Travel billboard you can only get by very slowly driving off a cliff and just letting your car fall straight down. I don’t need a Forza Horizon sequel to live up to my rose-tinted memories, I just need a glint of the creative spark that convinced me to try a genre I had completely written off. 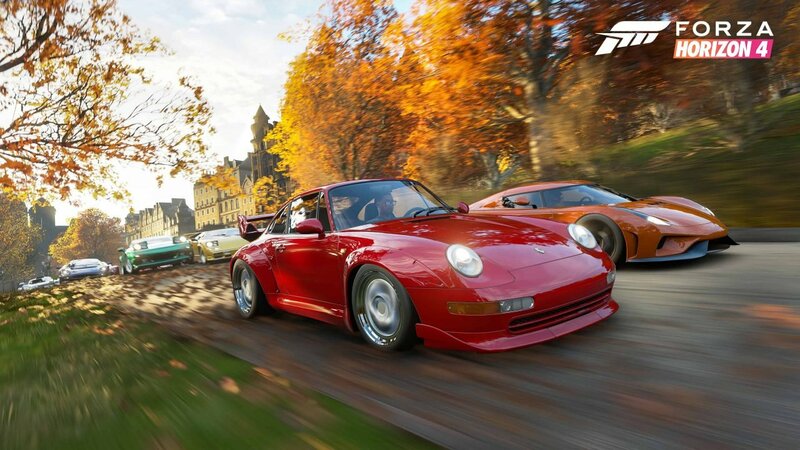 Everything I like about these games is alive and well in Forza Horizon 4, to the point where I will likely keep poking at it even after I’ve reviewed it, and that’s really all I can ask for. Even if you don’t like racing games, Forza Horizon 4’s consistently entertaining open world is definitely worth seeing.